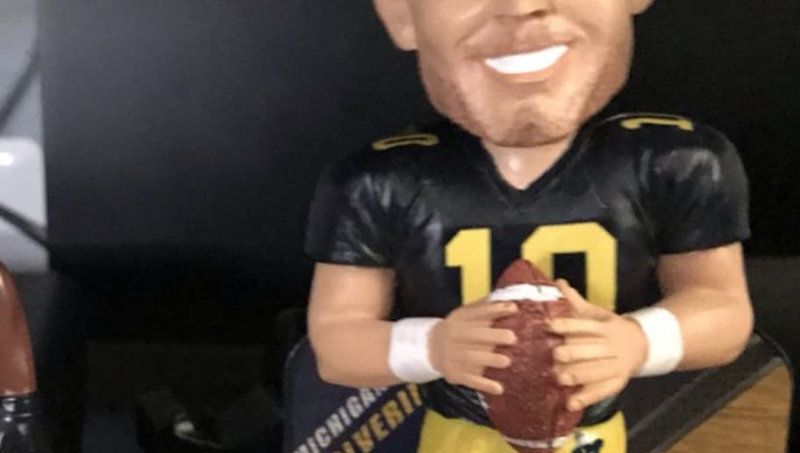 ​For those who collect bobbleheads or Michigan football memorabilia, you may want to look into this one. Because that's exactly what every football player does mid-play, cheese an incredibly large smile. You'd kind of expect the National Bobblehead Hall of Fame to get this one right, right? I mean, ​Brady may be a pretty normal looking dude, but this just looks like a default character. And while ​Peppers' does look fairly detailed and realistic, it doesn't look like him. It looks like a detailed version of someone else entirely. I'm not trying to insult the museum, but they've done really well in the past.